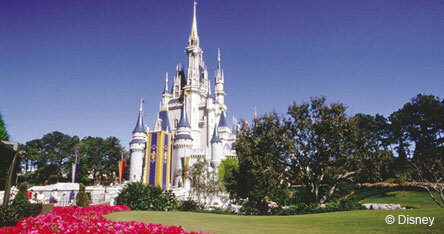 The Walt Disney World Resort in Orlando is one of the most loved holiday destinations across the globe for families. Nestled just outside the Florida hub of Orlando, the Walt Disney World Resort enjoys warm summers and is surrounded by a range of hotels, shops and restaurants, making it a perfect place to take the kids in summer. Real life suspends whilst you’re at a Disney theme park, resort or hotel. Whether you’re checking into your hotel, queuing for a ride or eating your breakfast, there’s always something to wonder at. The Disney parks and hotels often have hidden Disney logos in public places – if you ask a member of staff, they may be able to show you one of the ‘Hidden Mickeys’. If you’re planning a holiday to the Disney Resort in Orlando, be prepared to suspend reality for the length of your stay and be simply amazed by the world of Disney. Why not enter the realm of fantasy at Magic Kingdom? Or you could see the whole world in a day, at Epcot. Fancy meeting some furry friends? There's also Animal Kingdom. Or you could get right into the action of your favourite movies at Hollywood Studios. Disney also offers two waterparks for guests in Orlando – Blizzard Beach and Typhoon Lagoon. Both are great for a day cooling off from the Florida sun, and kids love the slides, rides and pools! Read more about waterparks in our inspiring holidays – waterparks section.